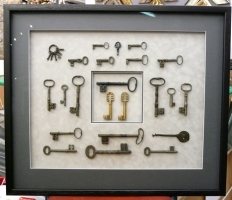 Ruth Morland and her expert team at Glastonbury Galleries provide a full bespoke picture framing service and pride themselves in offering high quality customer care. 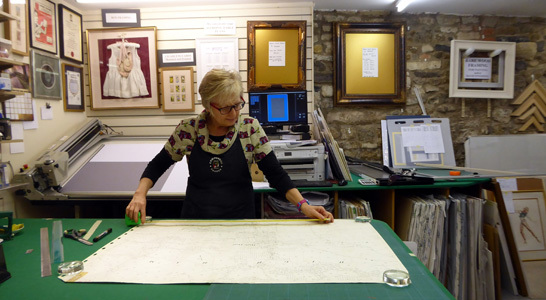 Qualified as a Commended Framer by the Fine Art Trade Guild, Ruth has over twenty-five years of experience in the trade and will enthusiastically help you through the daunting (and often complex) process of making the right choice for displaying your artwork; whatever that may be. All advice and quotes are freely given. Click on any section title to view - click again to hide it. We stretch needlework in the traditional way of lacing the back squarely over conservation board to ensure an even and supportive tension. 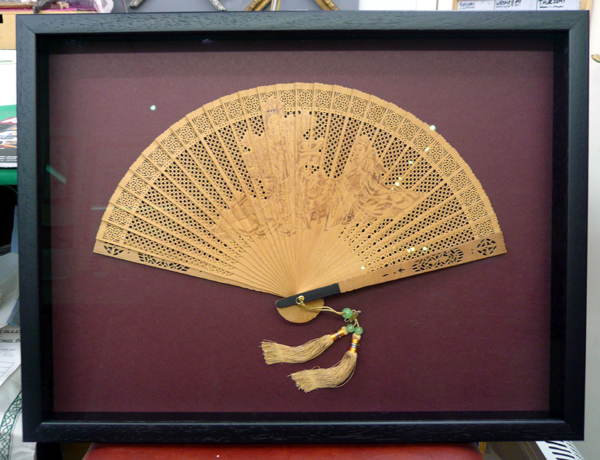 No trimming of corners, gluing or stapling is done to make sure that the artwork does not suffer damage in any way. Delicate antique samplers and similar are first supported onto unbleached cotton before stretching. We recommend wherever possible, that the frame chosen will have a spacer fitted (like a mount or slip) to keep the glass from touching the surface. Our specialist Low Reflection Art Glass is ideal for textiles as it shows the textures and colours off really beautifully. All this is explained and can be demonstrated to each customer. 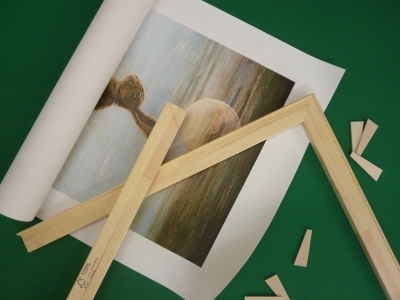 We stretch all types of work on canvas – original oils, canvas prints and even some fabric work, onto traditional stretcher bars. 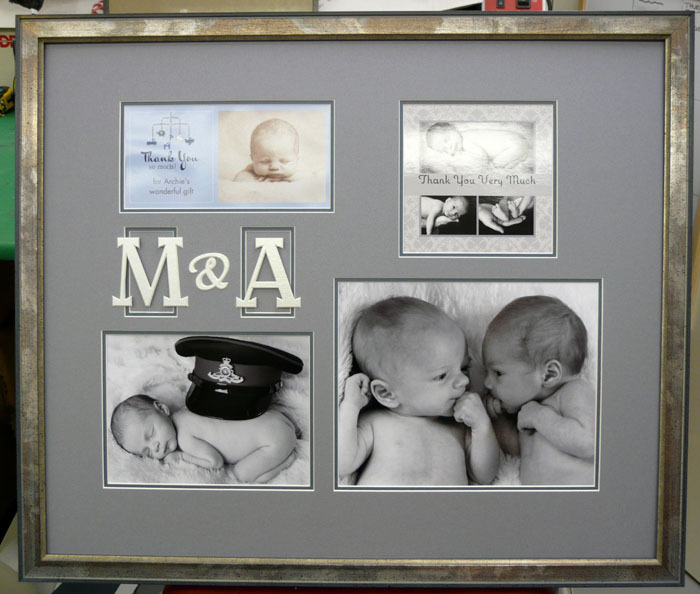 We also re-stretch old canvasses and undertake light picture cleaning and repairs as necessary. For more specialists cleaning we are happy to recommend a local qualified picture restorer. Football and rugby shirts are stretched and stitched into place and framed in deep mouldings to keep the glass from touching the shirts. 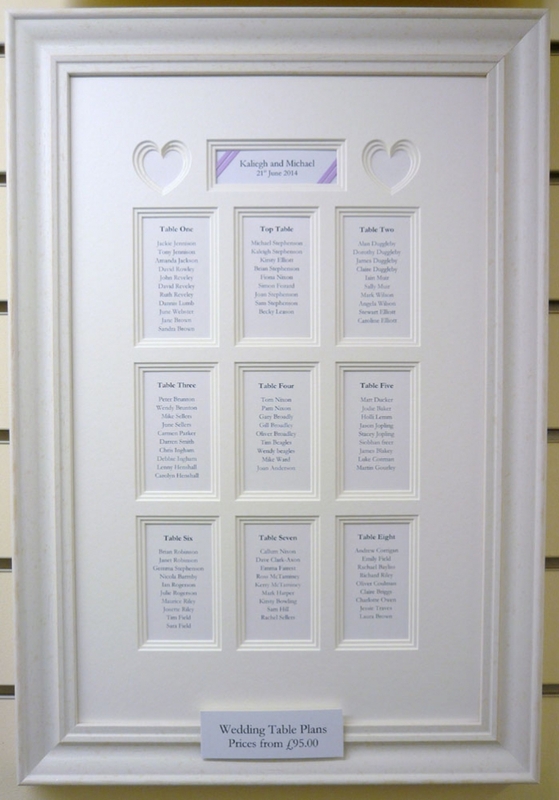 We can add titles, photographs and other items to give them individuality. 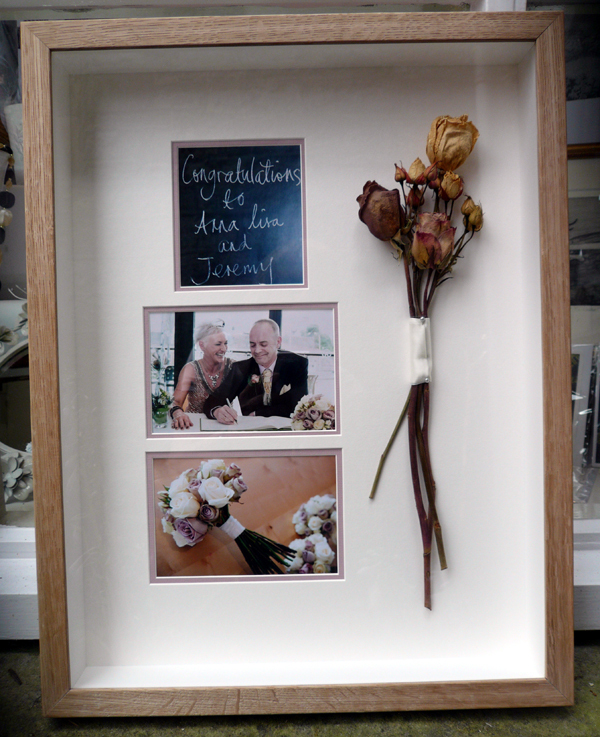 Other ideas for framing: baby’s first shoes, champagne corks from that special event, theatre/sports tickets and programmes, sets of cigarette cards, wedding memorabilia and so much more! We have lots of original ideas to make the most ordinary into the most extraordinary. We regularly box frame sets of medals of all different types. 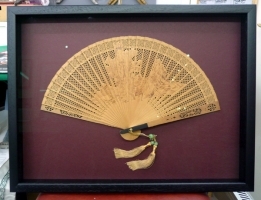 These are checked to make sure they have the correct ribbons and are mounted in the correct order and look especially effective when displayed with other ephemera appertaining to that person or event. 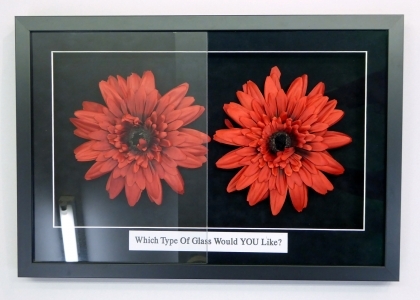 In addition to the standard float glass and diffused glass we also offer Low Reflection Art Glass, UV Protection Glass and the highest quality of Museum Glass offering all of the above. Examples of all these types of glass are available for demonstration. 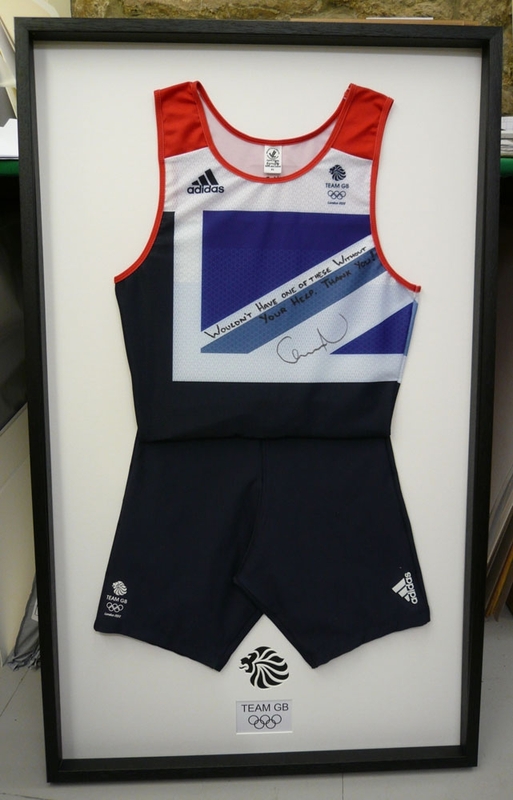 The art of conservation picture framing is to enhance the artwork for viewing whilst also protecting it. Thus all methods used must not harm the work and should always be reversible if required. 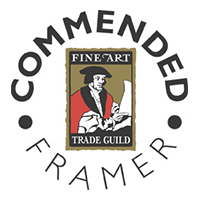 As a Guild Commended Framer, customers have the confidence that we have the skill and knowledge to be able give the very best advice. 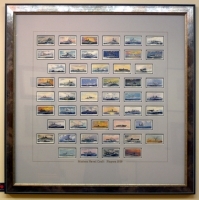 The majority of our mountboards are of high quality conservation standard according to the criteria stipulated by the Fine Art Trade Guild – they will not damage your artwork with acidic bleeding if kept under reasonable circumstances and the mountboard’s bevelled core will remain white and not discolour with age. 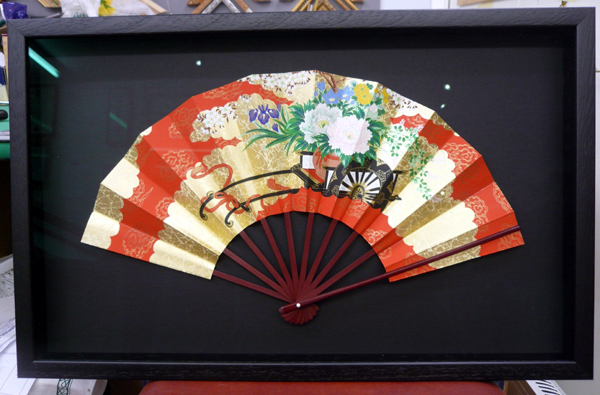 Window mounts are hinged to an additional board of the same conservation quality onto which the artwork is secured using ph neutral tapes which allow papers to be able to ‘breathe’ so that they are able to expand and contract as atmospheres change. 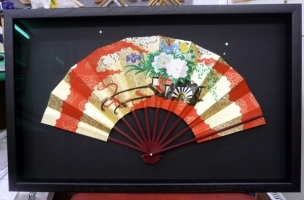 This barrier board also protects the artwork from any acid migration occurring from direct contact with the backing board. If required, we also offer both UV protection glass and the ultimate Museum Glass which not only protects from UV but is also low reflective. 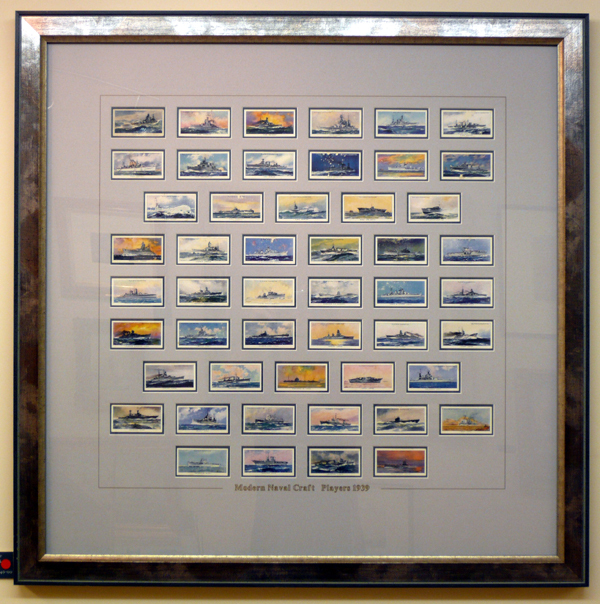 Now a dying skill, we still offer hand painted wash-line mounts especially for those antique watercolours which suit them so well. These are all done individually in the traditional way using watercolours to best enhance the painting. 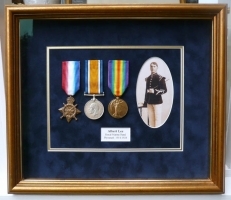 With our computerised mount cutter we can offer a very affordable service of multiple aperture mounts, from cigarette cards to family photo collections and pretty well everything in between. We can create lots of different shapes and even lettering to really make an impact. The window apertures can be enhanced with shaped corners, ‘V’ grooves and lines, double mounts, treble mounts and deep bevelled mounts, ovals, circles, stars and hearts. 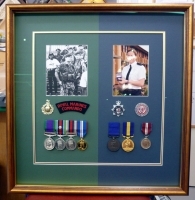 As an addition to our bespoke framing service we also offer a very affordable range of quality ready-made ‘bargain frames’. 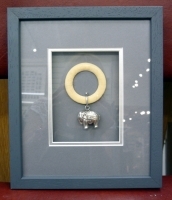 These are still made by us here in our workshop in a selection of our frame mouldings and because we are able to make them in reasonable batches they are an economical alternative to having frames made individually or ‘bespoke’. The mouldings we offer are some of our most popular ones and range from traditional golds and silvers, to contemporary painted finishes. There are over 20 standard stock sizes from5 x 7 inches to 600 x 800mm and include A2, A3, A4 and square frames. These can all be taken home to fit yourself, or for a small charge we can fit them professionally for you. 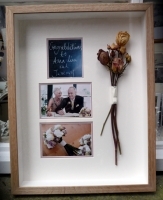 All our frames are made from solid wood – we do not use plastic or MDF mouldings. All are glazed with 2mm float glass – we only use plastic glass if requested. 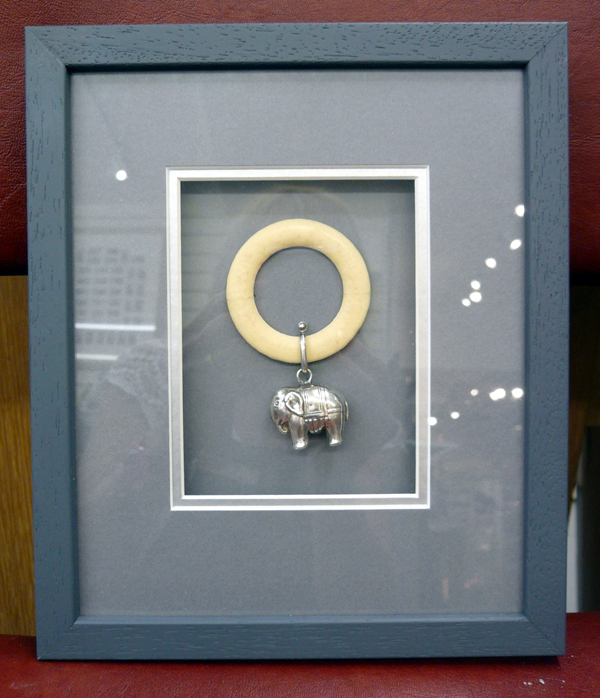 Although we no longer stock ready cut window mounts (they were never the right size or colour!) 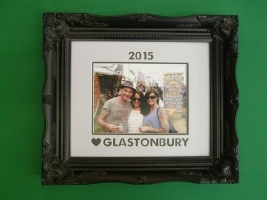 we can easily cut mounts to suit from our huge range of coloured boards to fit any frame. 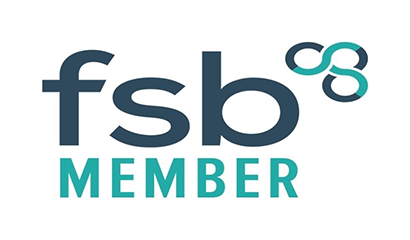 We will endeavour to cut mounts ‘while-you-wait’ (customers permitting) if they are required immediately. 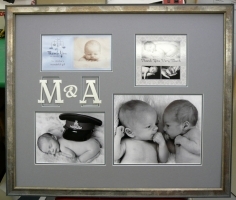 You are welcome to bring in your own frames for us to cut mounts for. Discounts are available for quantities. We are happy to help and advise both professional and amateur artists regarding the best and often the most economical way, in which to present their work. With our many years of experience, we can guide you through the (often very expensive) pitfalls that can be encountered; thus giving you the confidence to make the best choices. All help and advice is freely given. 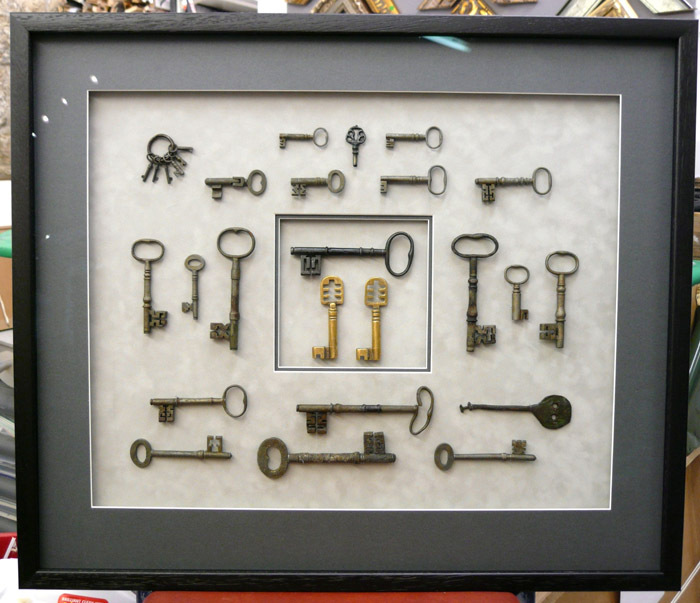 An amazing collections of antique keys - some going back to medieval times, and each with it's own story behind it. 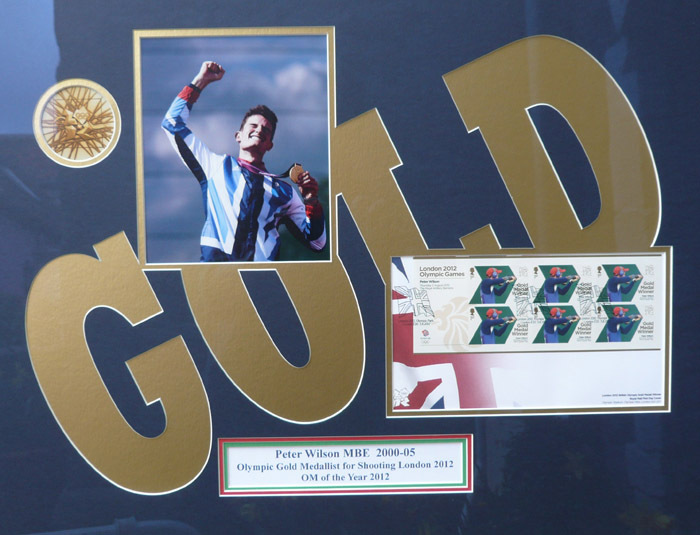 Early in 2012 we were asked by Millfield School, to frame memorabilia from an amazing event. 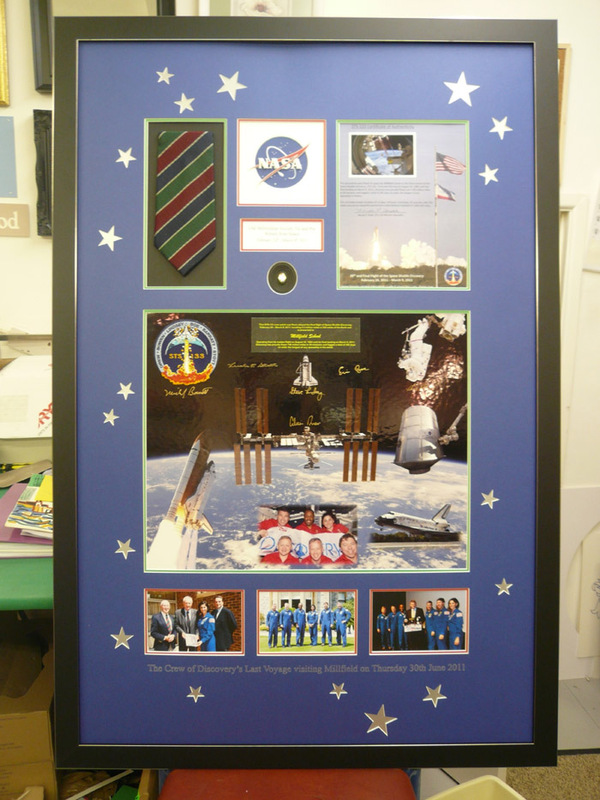 The previous year they had been approached by one of the crew members of the NASA Space Shuttle to take an item from the school with them into space. The school supplied a tie and tie pin which the crew then presented to the school when they visited England later in the summer. 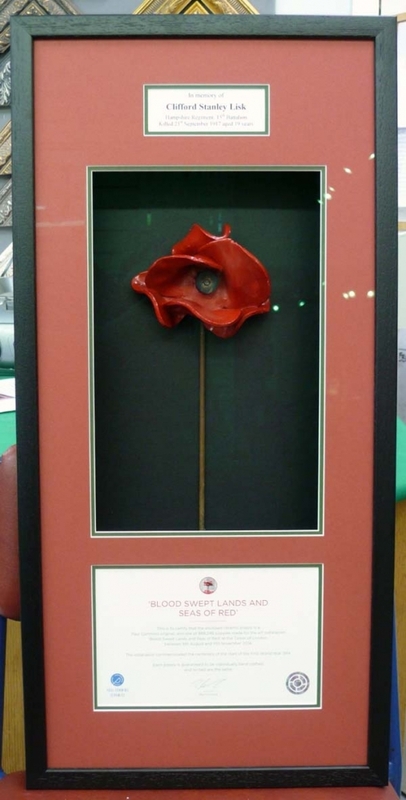 We were extremely proud to be able to frame this for them.